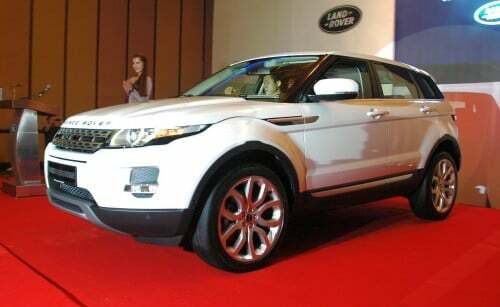 Land Rover Malaysia has officially launched the Range Rover Evoque – the car arrives in three variant forms, these being a 2.0 litre petrol three-door Coupe as well as two five-door examples, a 2.0 litre petrol version and a 2.2 litre diesel. The 2.0L Petrol Coupe – specified with a Dynamic Plus package – and the 2.0L Petrol 5-Door Prestige are powered by the 240 PS and 340 Nm Si4 turbocharged engine, with twin variable valve timing. As for the 2.2L Diesel 5-Door, which is also configured in Prestige trim, it wears the 190 PS and 420 Nm version of the SD4 turbodiesel, the same mill as found in the Land Rover Freelander 2. Both the petrol and diesel engines are matched to the latest generation AW F-21 six-speed automatic transmission with a Rotary Auto Shifter. Performance figures are a 0-100 km/h sprint time of 7.6 seconds for the petrol versions and 8.5 seconds for the diesel, while maximum speed is 217 km/h for the petrol duo and 195 km/h for the diesel job. 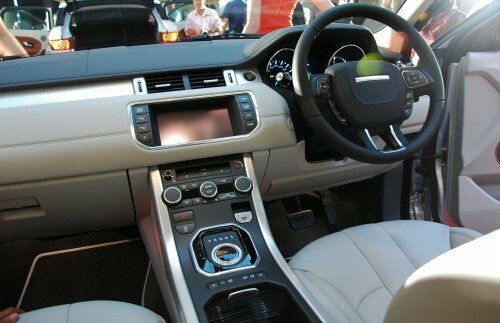 Features available across the range include adaptive Xenon headlamps, push-button start, an 8-inch touchscreen with HDD and corresponding 380-watt 11-speaker Meridian audio system, 5-inch driver information full colour display, powered tailgate, rear climate control vents, paddle shifters, cruise control and electronic parking brake, among others. A full suite of three-letter acronym traction and stability systems are also to be found, and these include Dynamic Stability Control (DSC), Roll Stability Control (RSC), Traction Control System (TCS), Trailer Stability Assist (TSA), Hill Start Assist, Hill Descent Control (HDC), Enhanced Understeer Control (EUC), Gradient Release Control (GRC) and Engine Drag torque Control (EDC). The Coupe has some stuff that’s not to be found on the five-door versions – these are Adaptive Dynamics, a fixed panoramic roof with solar attenuating glass, textured aluminium trim in the interior as well as metal-finish foot pedals. All three versions come wearing 20-inch alloys, though the Coupe gets what is called Style 7 and the two five-door variants, Style 6 – essentially, they are both the same V-spoke designs, but in different finishes, silver sparkle for the former and shadow chrome for the latter. The Coupe comes in three exterior shades – Fuji White, Firenze Red and Sumatra Black, with an Agility theme in the White example and a Velocity theme to be found for the latter two colours. The five-door expands the exterior colour palette by two – Orkney Grey and Indus Silver join the trio above. Each is partnered to a matching interior theme, these being called Sprint, Vibe and Element. 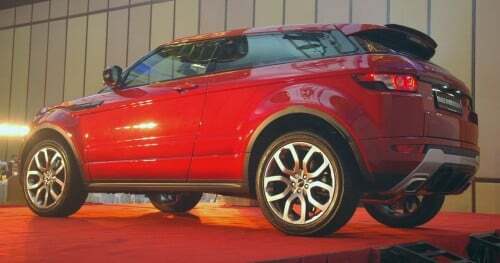 Pricing-wise, the CBU Evoque rolls in at RM393,888 for the 2.0L Petrol Coupe Dynamic Plus, while the 2.0L Petrol 5-Door Prestige goes for RM363,888 and the 2.2L Diesel 5-Door Prestige is priced at RM353,888, all on-the-road excluding insurance. It’s apparently going great guns for the SUV – more than 250 bookings were secured for it even before the launch, so if you want one now, be prepared to wait.